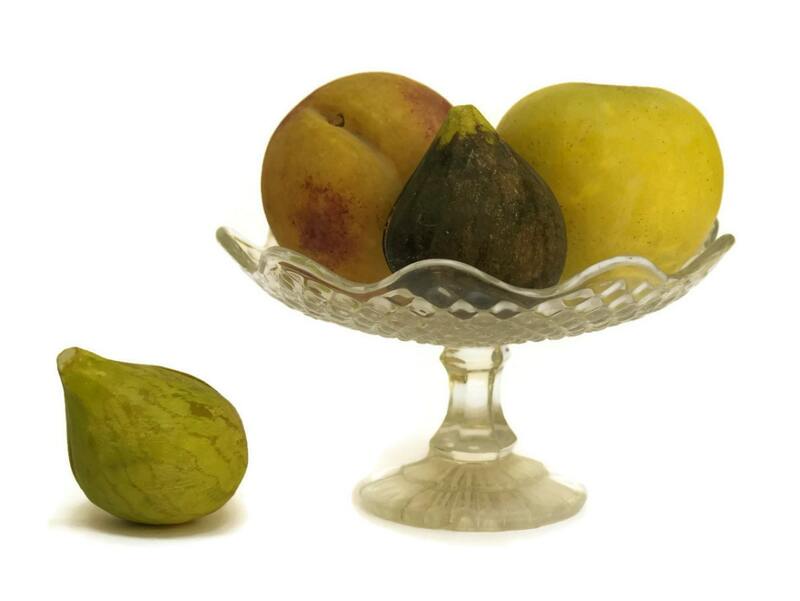 Glass Fruit Bowl. 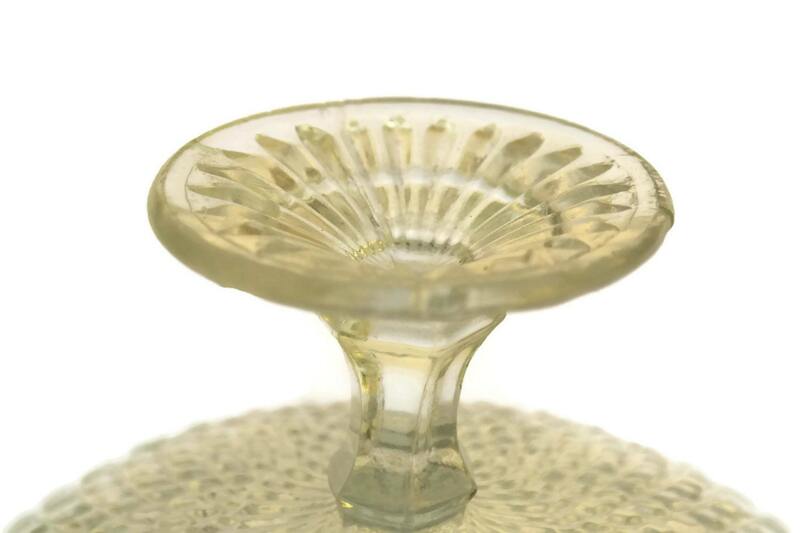 Depression Glass Candy Dish. Antique French Compote. 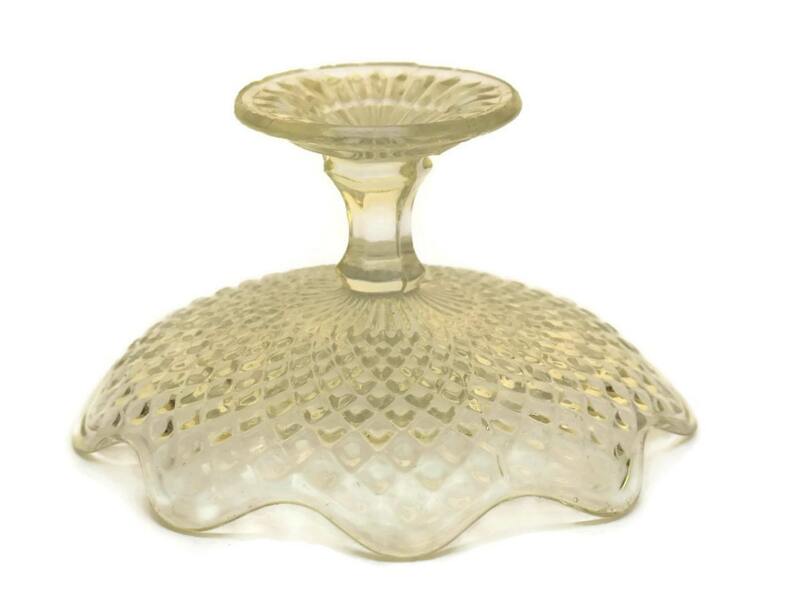 An elegant french glass compote dish dating to the 1920's. 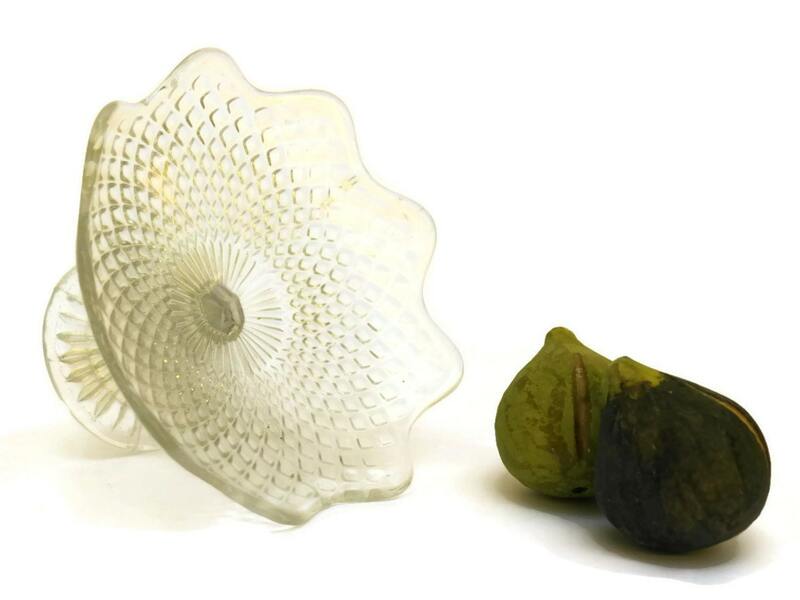 The footed dish has an undulating rim with a diamond pattern bowl. It is a petite size perfect for displaying a selection of candy or fruit. 3.5" Tall x 7" Wide (9 cm x 18 cm). The glass candy dish is in good condition. There is some roughness to the base of the foot. Item: Glass Fruit Bowl. 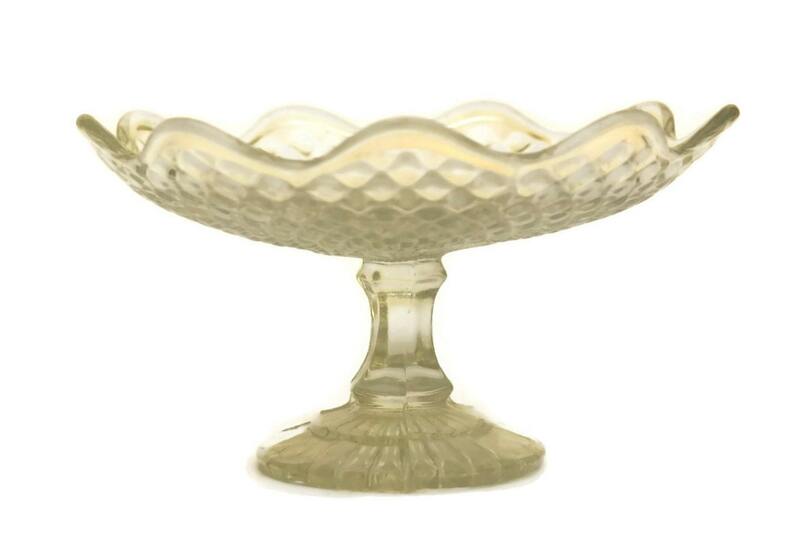 Depression Glass Candy Dish. Antique French Compote.